Processing expenses doesn’t need to mean wasting time or money. Rydoo offers an elegant solution for Telco companies and employees whose resources are better spent elsewhere. Our fully automated and integrated expense system makes it easy to upload, process and reimburse receipts while keeping everyone in process fully informed. This is crucial in understanding your companies spending habits, and in taking back control of spending. We do the hard work, and at the end of the month we generate a comprehensive overview of every detail. 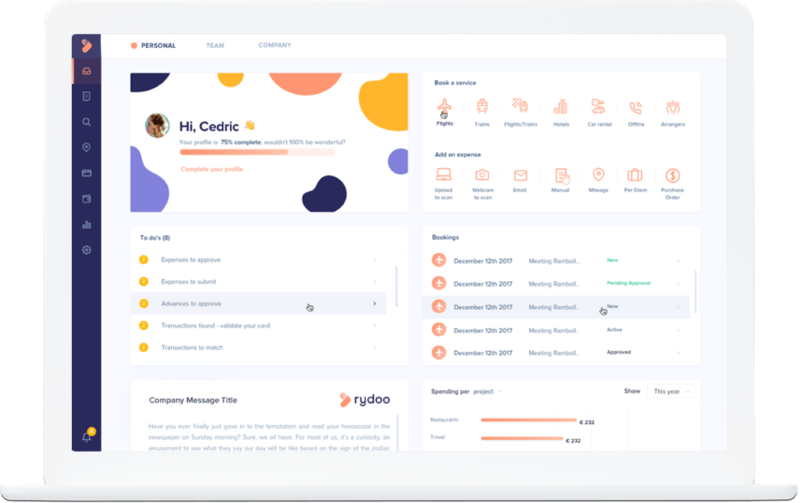 In a time where transparency is more important than ever for companies, Rydoo makes it easy to stay informed and up to date, without needing to waste employee time creating incomprehensible expense sheets. Find out how your Telco company can benefit from Rydoo by dropping us a line or see for yourself using our 14-day free trial. We’ll be on hand to help if you have any issues with our chat bots. Rydoo makes uploading expense receipts faster and easier. Our OCR feature will automatically extract all the relevant info needed to process your receipt, such as the merchant, date of purchase, the currency, and the amount. Simply snap a picture via our app, upload an image or screenshot from your computer, or if you have a digital receipt, you can forward it to us and it will be added to your account. No manual input necessary - unless you want to of course. Sometimes, on a logged expense, you may need to add or request additional info from a co-worker. You can simply add a custom field to the receipt. Whether it's a special project code, trip reason, or license plate, you decide how to name your field and then fill in the relevant data. The capacity for the tool to recognise elements and pre-populate the information for you is a big time saver and it’s one of the elements that we liked about Rydoo when doing the demos. What really attracted us with Rydoo is that you get out of the expense report process. I go to the cafeteria, I take a picture of my receipt and submit it. Find out more.